The population of Bharuchi Vahora Patels in the Kanam region is about one million. Bharuch, Jambusar, Amod, Vagra and Karjan towns have a sizable Vahora population. The following villages of the region predominantly have a very large Bharuchi Vahora Patel population: Aachhod, AmbheTaa, Argama, Asuria, Bambusar, Bhadkodra, BheNsly, Bholav, ChaNchvel, Dahegam, Dayadara, Detrol, Devla, Divi, Eksaal, Ghodi, Haldarva, HiNgalla, HiNglot, Ikher, Islampur, Jolva, Kaasad, Kahan, Kamboli, Kantharia, Kargat, Karmad, Kavi, Khanpur, Khojbal, KhoThi VaNtarsa, Kiya, Kolavana, Luvara, Maatar, Machhasara, Mahudhla, MaNch, Mangrol, MaNkan, Manubar, Mesraad, Muler, Nabipur, Nandevar, NaveTha, Ochhan, Paguthan, Palej, Pariej, Parkhet, Pipalyaa, Rahadpor, Roza-Tankaria, Salaadra, SaNpa, SaNsrod, Sarod, Segva, Sherpura, Sitpon, Sudi-Samni, Sutrel, Tankaria, Tankari-Bandar, Thaam, Tralsa-KoThi, Umaraj, Uprali, Vadva, Vahalu, Valan, VaNtarsa, Varedia, Vasti-Khandali, Vedach, Vesadra, Vora-Samni, Zanghar and Zanor. Bharuchi Vahora Patels have also settled in big cities like Ahmedabad, Mumbai, Surat and Vadodara. Bharuchi Vahora Patels are basically farmers. In the past, although the tools and methods they used for farming were very old fashioned, their forefathers were quite adept in their own farming techniques, producing abundant food grains and vegetables. They were also well known cotton growers and that was one of the reasons that during the British Raj the first cotton mill was established in Bharuch. It was in the middle of the twentieth century, when the desire and temptation to go abroad in search of a supposedly better life became so great among the Bharuchi Vahora Patels, that this ancestral farming occupation began to suffer to such an extent that farming has no longer remained as prosperous as it has been in the past. As far as professional occupations are concerned, Bharuchi Vahora Patels in India do have Doctors, Engineers, College Lecturers, University Professors, and Administrative Officers in the Civil Service. But, compared to the total Vahora population of around one million, their number in the above professions is rather small. Most of the employed people are in the third or fourth category menial lower paid jobs. There are a few skilled workers, such as plumbers, electricians and motor mechanics but again, compared to the Vahora population of the Kanam region, their number is also so small that you can count them on your fingertips. In the not so distant past, there were many primary school trained teachers – male and female – but today their number is also on the downward slope. Quite a few are in the construction and transport sector, but only at the local level. Some are self-employed, having their own business, and some own small factories. There is no provision for career guidance and the young people are obsessed with the idea of going abroad. The rate of primary and secondary education among Bharuchi Vahora Patels has increased after independence. Since 1950, many Vahora villages have opened high schools. There are also higher secondary schools under Vahora management. In 1993, the Munshi Manubarwala Memorial Charitable Trust founded an Educational Complex in Bharuch. It provides facilities for education at primary, secondary and higher levels including ITI, Arts and Commerce colleges, PTC, BEd college and MBA. Attached to the Munshi complex are institutions for girls’ education founded by the Vali Charitable Trust from the Bhodu family of Ikher. The Munshi trust also run schools in deprived areas. The total number of students is 8,000. 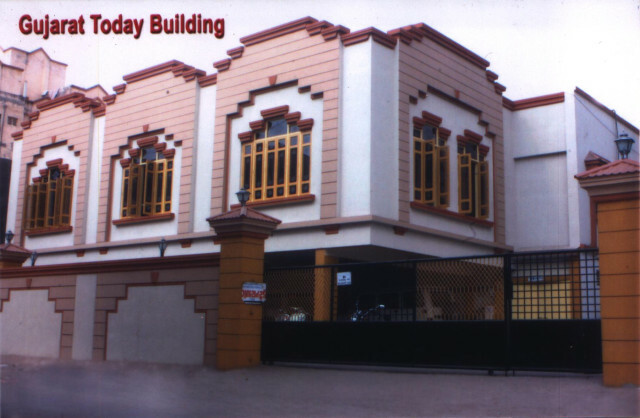 There are hostel facilities for boys and girls as well. There are Iqra education institutions run by Maulana Habiburrehman Matadar. These institutions target students from the poor sections of the society. Maulana Matadar’s vision, dedication and sincere efforts have created ample opportunities for the poor and needy children. There is an excellent English Medium School in Bharuch run by the Matliwala Trust. This school tries to maintain very high standards of education. There is an English Medium School with 700 students as part of the Welfare Hospital complex. Muhammad Fansiwala has ambitious plans to start a college of dentistry, medical college and a university. The eminent Vahora educationalists recognised at the state level are Dr Adam Ghodiwala of Tankaria and Shabbir Musa Patel of Kavi. There are no institutions of higher education. This is due to the fact that the present anti-Muslim state Government does not give permission to start such institutions under Muslim management. A large number of Vahora students join colleges in Maharashtra and Kanataka and quite a few go to Britain and Russia for higher education. There are no hostel facilities for Vahora students in Mumbai or Vadodara. 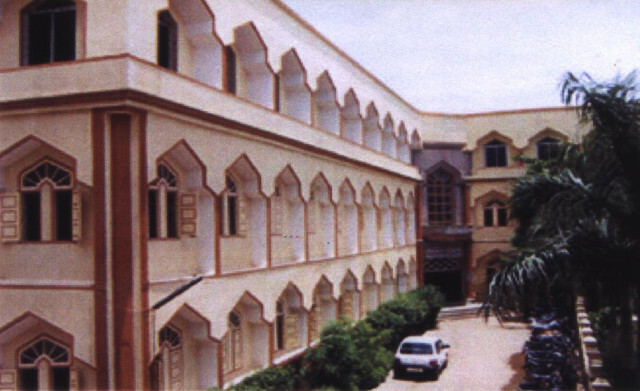 In Ahmedabad, Patel Muslim Society runs a hostel, a Musafirkhana (guest house) and computer coaching classes for Muslim students. The Bombay Patel Welfare Society gives scholarships to bright Vahora students and holds elocution competitions each year with prizes. The Munshi Manubarwala Trust runs a hostel in Rander, Surat and provides useful career training to students. Vahora villages have a network of madrasas (Islamic schools) for basic Islamic education for children. After independence, Darul Ulooms (Islamic Colleges) have been established in Amod, Bharuch, Dayadara, Jambusar, Kantharia, Sitpon, Thaam, Vagra, and Valan. There are special Darul Ulooms for girls in Manubar and Tankaria. In 1991, Muhammad Ali Collector and the members of the Bombay Patel Welfare Society took the initiative to establish the Welfare Hospital. Under the able and dynamic management of Muhammad Fansiwala, Ex MLA, this has developed into a fully-fledged hospital with over 200 beds. It is committed to the Islamic principle of khidmat-e-khalq that is the service of mankind, and apart from the Vahora community, it serves patients from all sections of the society. The hospital operates a Bait-ul-Mal (Charity) Fund to provide free or subsidised treatment to all poor patients. It also runs nursing and medical laboratory technician courses. With financial assistance from the well-known banker Musa Dakri of the USA, the Welfare Hospital is in the process of establishing a well-equipped diagnosis centre. Muhammad Fansiwala also aspires to start a dentistry, medical and pharmacy college. There are also small hospitals in Jambusar, Nabipur, Sarod and Valan. The Saliya family of Preston, UK are building a huge, state of the art hospital near Palej. Similarly a small hospital is taking shape in Ikher. The Rangoon family of Tankaria run a private hospital and a school near Bharuch. Indulal Yagnik had started the Maha Gujarat movement to create a separate state of Gujarat from the then state of Bombay. Many Vahora leaders joined him. Among them was Vali Ahmad Paguthanwala who took a leading role in the Bharuch district. Even after 60 years of independence, no Bharuchi Vahora Patel has become a member of parliament. 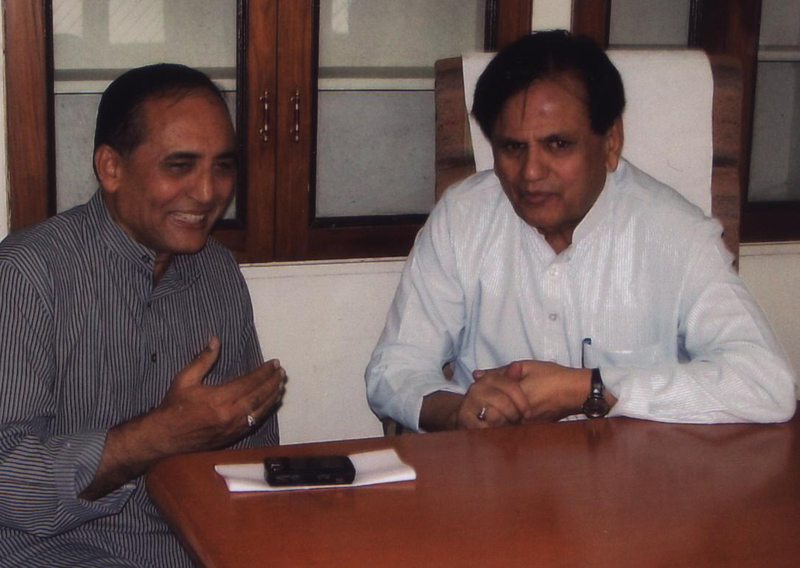 In 2009, Ahmad Patel (pictured right), who is the political advisor to the All India Congress Party President, Sonia Ghandi, and a member of the Rajya Sabha (Upper House of Parliament), selected Umarji Ahmad Ughradar alias Aziz Tankarvi (pictured left), a former editor of the Gujarat Today Daily newspaper and a well-known poet, writer and journalist, as a congress party candidate for the Lok Sabha (Lower House of Parliament) election. He received 284,000 votes, which is some achievement indeed, but unfortunately lost by 27,000 votes to the rival BJP (Bharatiya Janta Party) candidate. As mentioned before, no Vahora has ever reached the Parliament in Delhi as an MP. However, Muhammad Fansiwala of Karmad, Iqbal Patel and Rashida Iqbal Patel of Derol have been elected to the Legislative Assembly of Gujarat. The late Gulam Umarji Ghodiwala of Tankaria was president of the Bharuch Taluka Panchayat (Sub-District Council). Cricket is a popular game among Bharuchi Vahora Patels. Tournaments are organised in Bharuch and Tankaria. Abdurrazak Bariwala runs a cricket club in Tankaria, where state level cricket tournaments are played. You need to see the excitement displayed by the cricket lovers of the village on such occasions. Ahmad Ali Ghodiwala was a Ranji Trophy player before independence. (The Ranji Trophy is a domestic first class cricket championship played in India between different city and state sides, equivalent to the County championship in the UK). 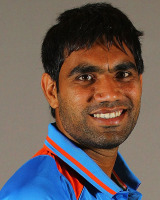 At present, Salim Veragi of Tankaria plays in the Ranji Trophy tournaments. Bharuchi Vahora Patels have also produced international test cricketers. Rasheed Patel of Kamboli and Munaf Patel of Ikher are well known Vahora test cricket players acting as role models for the young cricket players of the district. The Bharuchi Vahora Patels’ participation in other games and athletics is negligible. The “Bombay Patel Welfare Society” is the most important Bharuchi Vahora Patel organization founded after Independence. Initially, the Bharuchi Vahora Patels of Bombay had formed the Bharuch Jilla Rahat Committee. In 1956, this was expanded as the Bombay Patel Welfare Society. The Patel Musafirkhana project was started by the then secretary Ahmed Patel Dasanwala (Advocate). Today, the multi-storey Patel Musafirkhana building stands in the Nagpada area of Mumbai and provides good facilities to Hajj pilgrims, Bharuchi Vahora Patels visiting from abroad and numerous Bharuchi Vahora Patels visiting the city from Gujarat. Many villages have their own societies and voluntary organizations for welfare activities. However, there is no umbrella organization for the Bharuchi Vahora community. There is a lack of co-ordination and long term planning, which is needed for the educational, economic and social uplifting of the Bharuchi Vahora Patels in the 21st century. The Bharuchi Vahora Patels’ contribution to Gujarati literature and journalism is remarkable. Well known Vahora writers include Abhram Bhagat of Pariej, Ibrahim Dadabhai “Bekar” of Khanpur (District Bharuch), Vali Patel and Yusuf Ashraf of Vahalu, Vali Suleman Patel of Sarod and Majnu Dedka of Tankaria. Mustafabadi of Tankaria published an English magazine in South Africa. The other magazines include Bekar’s “Patel Mitra” and “Insaan”, Aziz Tankarvi’s Parvaaz and Isa Kaviwala’s Paigaam and Kalam. The Bharuchi Vahora Patels’ major contribution in the establishment of the Gujarat Today Daily newspaper, published from its offices in Ahmedabad for last two decades, has enabled the Muslims of Gujarat to realise their dream of having a “clean” and refined newspaper of their own. Among the Vahora poets and writers of the generation after “Bekar” are Adam Tankarvi, Aziz Tankarvi, Babar Bambusari, Daud Khandhiya, Haroon Patel, Ibrahim Chhela, Iqbal Ughradar, Jigar Nabipuri, Kadam Tankarvi, M S Karbhari of Sarod, Mahek Tankarvi, Pathik Sitponvi, Premi Dayadarvi, Premi Zangharvi, Rafat Kaviwala, Siraj Patel “Paguthanvi”, Sufi Manubari, Yakub Mukardam of Tankaria, Zakir Tankarvi and others. According to Bhagvatikumar Sharma (a writer, poet and ex-editor of the Gujarat Mitra daily newspaper of Surat, Gujarat), any historian of Gujarati ghazal will have to make note of the contribution made by the ghazal writers of Rander and Tankaria of Gujarat State. Gujarati ghazal owes a lot to these Muslim poets. In 2010, a grand Gujarati mushaira was held in Tankaria, in memory of the late Ibrahim Nathalia. On this occasion, the chief guest Dr Rasheed Mir, a well-known ghazal writer and critic, pointed out that:“the history of Gujarati literature would remain incomplete without the mention of the contribution made by the poets and writers of Tankaria.” The Tankarvis have made a significant contribution to the development of Gujarati ghazal. Ismail Ghadiali of Pariej and Fazal Patel of Bharuch bring out publications aimed to increase Islamic and social awareness among the Vahora community. In addition to the publication of religious books, some periodicals are also published under the management of Bharuchi Vahora Patels. “Darul Uloom” is a monthly published by Darul Uloom Kantharia, “Anjuman Voice” is published by Anjuman-e-Imdadul Muslimeen, Bharuch (edited by Maulana Habiburrehman Matadar), “Sachchai” is published by Majlis-e-Tahaffuz-e-Ahle Sunnat wal Jama’at from Tankaria (edited by Maulana Ismail Vali Bhuta), “Ruhani Paigaam” is also published from Tankaria (edited by Haji Muhammad Master Tankarvi), “Barakat-e-Khwaja” is published from Dayadara (edited by Shabbir Ali Patel Razvi) and “Al Mueen” is published from Thaam (edited by Ismail M Hafiz). “Mujaheed” published by Daud Patel Kamboliwala and “Noorani Fayzan” published by Ali Ghantiwala of Dayadara are other monthly magazines. Ismail Hafezi of Nabipur acted as sub-editor of “Taybah” for some time. Until about the middle of the twentieth century, Bharuchi Vahora Patels observed many superstitious customs, rituals and traditions. For example, at the time of a wedding, when pitching the first pole of the mandap (marquee), they would put a sopari (areca nut) and a coin and tie a red and yellow woven cotton thread around the pole thinking it to be a good omen. The groom was not allowed to wear anything black, so as to stay away from black magic. These were rituals to protect oneself from the evil eye or a bad omen. Most of these un-Islamic customs have now disappeared to a very large extent, but in some places they still continue in different forms. Before the 1950s, most Vahora women wore a sari and a ghaghara (long skirt), but that has more or less become out dated and now modest Islamic dress is common. Men no longer wear a dhoti (sarong) or a bania (turban). When mourning a death, women used to beat their chest and sing chhajiyaa (elegies or melancholy songs expressing sorrow). Weddings were marked by pithee (application of turmeric paste on hands and face), coconut, drums and shehnai (a quadruple reed wind instrument like a clarinet). Night time programmes of qawwali (a form of Sufi devotional music) and dancing girls performing in front of the wedding guests were common. 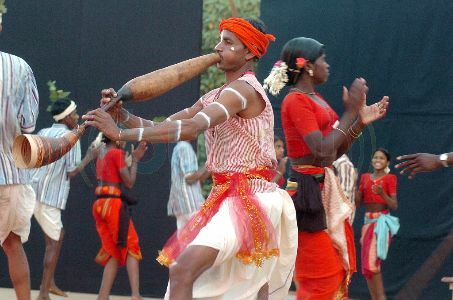 In villages like Karela and Tankaria, I remember ordinary folk artists performing ramleela (a dramatic folk re-enactment of the life of the Hindu god Ram) and bhavai (folk dramas) in the open air, where large crowds gathered from the surrounding villages to enjoy the show which was the only source of entertainment in those days. I recollect the well-known bhavayas (folk drama actors) of the time, Vali Manchwala and Gulam Sutariya, performing in a bhavai show in Tankaria. With the increase of education and Islamic knowledge, these superstitious customs, rituals, practices and bhavai shows have now become things of the past. Bharuchi Vahora Patels are Sunni Muslims and they follow the Hanafi school of thought. But around 1950, they began to be divided into Deobandi and Barelvi groups, with the latter now further divided into Ashrafi and Razvi. Due to these divisions within the community, these groups have now established their own separate masjids (mosques) and madrasas. In the early days of division, there were court cases against each other and disputes about the custody of the village masjid had to be resolved by the district judges. The bitterness of the early days has now disappeared and, although they follow their own school of thought and pray in different masjids, Bharuchi Vahora Patels now live side by side, their children go to the same schools, play cricket and other sports together and are friends. Social interaction is still strong, marrying someone from the other persuasion is not much of a problem and people gladly participate in each other’s wedding and other functions.